As a parent, you will always want what is best for your child. At times, however, you may not be certain where to turn for help when a problem arises. Be assured that there are numerous professionals available to assist. Following is a helpful list you may refer to when determining your next steps. You are the most important member of your child’s team. You are your child’s No. 1 advocate, and it is you who understands and knows your child better than anyone else. It is important that you receive accurate, unbiased information to help you make decisions that will provide the foundation for your child’s life. Remember, with information and support from professionals, the options and decisions facing your family are yours to make. There is no one right way when it comes to empowering your child to success. Do not be afraid to remain open to new ideas. As a completely informed parent, it is you who knows what is best. Audiologist: An audiologist is a professional with a graduate degree, state license and professional certification in the assessment and management of hearing and hearing problems. Educational Audiologist: A pediatric audiologist who often works in an educational setting or specializes in assessment of hearing loss as it relates to issues in educational settings. Educational audiologists are involved in assessment and rehabilitation related to hearing devices and improving measures for hearing conservation in the school and leisure settings. Pediatric Audiologist: A pediatric audiologist specializes in assessment of hearing loss, balance and related disorders in children and makes appropriate recommendations for treatment. Pediatric audiologists make recommendations about various listening devices to assist the child with hearing loss; these include hearing aids, cochlear implants, FM systems and other devices. Services are provided to children who are deaf, hard of hearing or at risk for hearing loss due to noise exposure, genetic causes, exposure to certain drugs or middle-ear infections. A pediatric audiologist must have knowledge and skills in the area of child development and behavior management in children and skills to counsel families of children with hearing impairment. MAPping Audiologist: A MAPping audiologist specializes in programming cochlear implants. After receiving an implant, a child goes to a mapping audiologist who uses a computer, customized software and a special interface to set appropriate levels of electrical stimulation for each electrode of a cochlear implant. With the child’s equipment attached to the audiologist’s computer, threshold and comfort levels are determined. The information of the levels are stored in the memory of the speech processor and is called a program or MAP. A child returns to the mapping audiologist five to six times within the initial year of activation because the levels change over time as the child adjusts to the implant. After the first year, the child returns to the audiologists for periodic checks or when the family, child, teacher and/or the therapist has concerns about the implant. Auditory Skills Therapist: Individuals from several disciplines may have the special training required to develop your child’s auditory skills. This individual may be an aural rehabilitation therapist, educational audiologist, auditory verbal therapist, teacher of the deaf or a speech-language pathologist. These individuals can specialize in the development of comprehensive programs for children with hearing loss and their families by emphasizing a child’s useable hearing through an appropriate amplification device. Activities are designed to teach the parent how to develop auditory skills and create optimum listening environments for their child to enhance listening skills by progression through an auditory hierarchy. Bureau for Children with Medical Handicaps (BCMH) Nurse: BCMH is a tax-supported program of the Ohio Department of Health that helps children with special health care needs and their families. The program assists families in obtaining services to diagnose a potential handicapping condition (the Diagnostic Program) and assists with ongoing services for children with an eligible medical handicap (the Treatment Program). Public Health Nursing services include: home visits, service coordination, developmental screenings, advocacy and referral to appropriate health care providers. Childcare Professional: Childcare professionals help to improve children’s communication, learning and other personal skills. Childcare workers nurture and care for children who have not yet entered formal schooling and also work with older children at before- and after-school programs. These workers play a critical role in a child’s development by caring for a child when parents are unable to do so. In addition to attending to children’s basic needs, childcare workers organize activities that stimulate physical, emotional, intellectual and social growth. They help children explore individual interests, develop talents and independence, build self-esteem and help children learn how to get along with others. Developmental Pediatrician: A developmental pediatrician is a medical doctor who diagnoses and manages children with conditions that are associated with development, including developmental delay, learning disorders and behavioral problems. Early Interventionists: The early interventionist (developmental specialist) is trained in all aspects of childhood development, in early learning patterns of young children and in behavior management. The early interventionist may work with a child in a center-based program or work with the child and family via home visits. Geneticist: A geneticist is a physician who diagnoses, treats and counsels patients with genetic disorders or syndromes. Infant Hearing Program Outreach Specialist: An outreach specialist is an early interventionist with additional training and experience with hearing loss. Neurologist: Neurologists are physicians trained to diagnose, treat and manage patients with neurological disorders. Pediatric neurologists treat neurological diseases in children. Occupational Therapist (OT): Occupational therapists are professionals trained in the assessment and re/habilitation of activities of daily living, that include self-care (dressing, bathing, toileting and feeding), fine motor skills (handwriting, ability to manipulate small objects with hands and fingers), visual-motor skills (eye-hand coordination, depth perception), sensory integration (processing of tactile, vestibular and proprioceptive information) and adaptive equipment (splints, adaptive feeding utensils, adaptive pencils). Otolaryngologist (ENT): An otolaryngologist is a doctor who specializes in care of the ear, nose, throat and neck. These doctors are commonly known as ENT physicians. A Pediatric Otolaryngologist (ENT) specializes in medical problems of the head and neck as it relates to children. An Otologist is a medical doctor who specializes in medical and surgical treatments of ear disease. The Neurotologist is medical doctor who specializes in medical and surgical treatments for the inner ear and manages diseases and disorders of the cranial nerves and skull base. Pediatrician: A pediatrician is a medical doctor who specializes in the care of children. Pediatric Opthalmologist: A pediatric ophthalmologist specializes in the care of eye problems in children, particularly if medical or surgical treatment is involved. Pediatric Physical Therapist (PT): Pediatric physical therapists have the expertise to assess and treat children with physical limitations or functional impairments. Service Coordinator: A Help Me Grow service coordinator works in partnership with families; they support and recognize parents/caregivers as the central decision-makers about their family. Speech-Language Pathologist: A speech-language pathologist is trained to work with individuals with speech, language and hearing problems. A speech-language pathologist must have a Certification of Clinical Competence from the American Speech Language and Hearing Association and be licensed by the Ohio Board of Speech Language Pathology in order to work in the state of Ohio. Teacher of the Deaf: A teacher of the deaf is an educational specialist who has training and credentials to teach children who are deaf or hard of hearing. Vision Specialist: The vision specialist assists classroom teachers in developing strategies and techniques for helping students with visual impairments access the general curriculum. 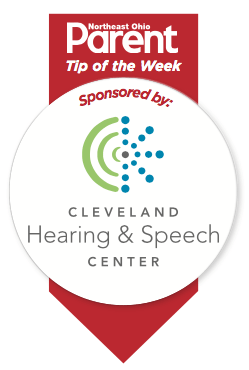 For more information on these and other resources, contact the Cleveland Hearing & Speech Center at 216-231-8787 or visit www.chsc.org.